The hand-held twin calculator designed by D.K. 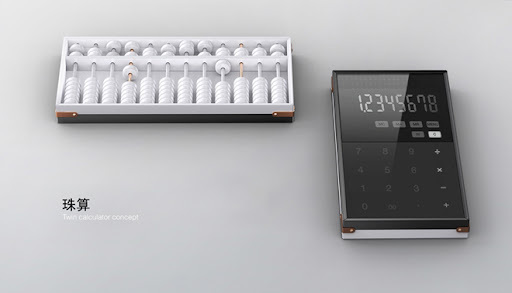 & Wei offers a flexible way for one to work on mathematics - A solar-powered digital calculator is built on the front with a full touch interface for an efficient calculation. Meanwhile, one can always enjoy fun calculating with beads from a back mini Chinese abacus!